For a long time, Yahoo’s fortunes have dwindled, with lots of wondering what will become of the 90s Internet giant. Now, it’s official: the company is being sold to Verizon for $4.8 billion. Yahoo plans to sell Verizon most of its famous assets, such as its web services (finances, a web portal, etc. ), Flickr, Tumblr, and even the company’s name/logo. The only assets Yahoo is keeping are its investments in Chinese online retail giant Alibaba, Yahoo Japan, and its cash assets; it’ll change its name once the deal is finalized in early 2017. It’s expected Yahoo will continue to operate independently similarly to Verizon’s other assets such as AOL, Engadget, and TechCrunch. 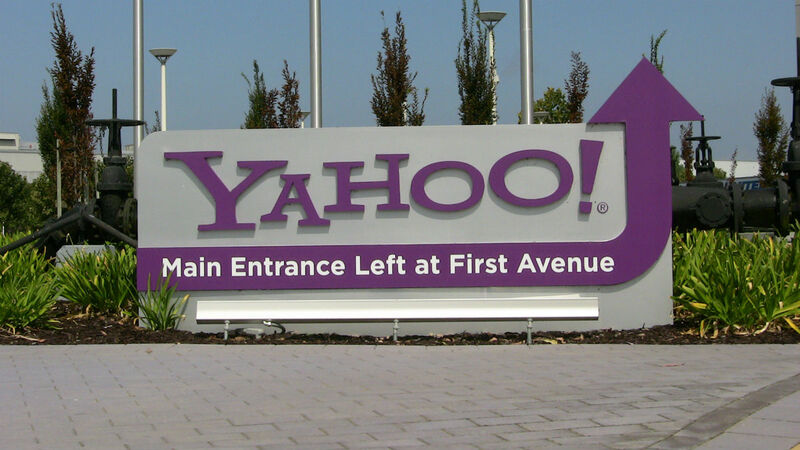 However, it marks the end of an era of Yahoo as an independent entity. It also shows how far its fortunes have fallen: Microsoft offered to buy the company for $45 billion in 2008, but was rejected. Yahoo’s tried to improve things over the years; it bought Tumblr a few years ago, and also did long-overdue modernizing of Flickr. However, none of this seems to have made a difference, resulting in where the company is today. Flickr. I still have my Flickr account up, but it’s mostly been dormant. I backup all my photos these days to Google Photos, and share photos to a mix of Facebook, Twitter, and (lately) Instagram. I do use Flickr often as a source of Creative Commons photos, including many of the ones on my blog, so this makes Flickr the one Yahoo service I actually regularly use. Yahoo email. I still have one, though it’s an infrequently checked secondary email address these days. Yahoo IM. I haven’t used it much lately, as very few people I know online use it. Meanwhile, I get way more messages (what few I get) via text message or Facebook, though have yet to install Facebook Messenger on my phone. Tumblr. I still have my Tumblr account, but like my Flickr one, it’s also been mostly dormant lately. And that’s about it. I used to use Yahoo’s services a lot more years ago, but I guess like everyone else, I’ve long since migrated to Google, other web services, smartphone apps, and social media to do what Yahoo once did. As for what Verizon plans to do with Yahoo, I’m not sure. I do wonder how Tumblr users will feel about this, given they weren’t pleased with Yahoo buying the micro-blogging service awhile back. If you’d like your tumblr account to be more active, you can connect it to Youtube to auto-post videos that you like. This can be done via IFTTT. There used to be an IFTTT recipe to auto-post picture you like on instagram, but instagram removed that ability from their API. (In other words, Instagram is a really bad service and continues to get worse. I’m a huge fan of flickr). You can still use IFTTT to auto-post your flickr favs. Flickr is a FAR superior service, in terms of features, compared to Instagram. I’m very curious what Verizon will do (or won’t do) to Flickr.